Learn to see the secret beauty in yourself that the Buddha perceived in all human beings. You have within you an unlimited capacity for extraordinary love, for joy, for communion with life, and for unshakable freedom—and here is how to awaken it. 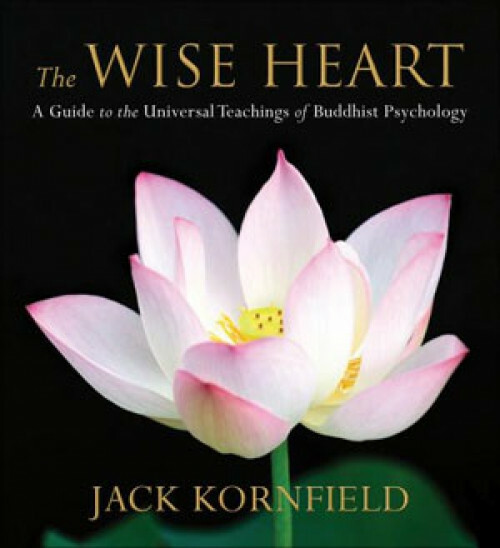 On The Wise Heart, celebrated author and psychologist Jack Kornfield offers an accessible, comprehensive, and illuminating guide to the universal teachings of Buddhist psychology. He shows you how to use powerful Buddhist insights and practices to go beyond the trap of "self-improvement"—and find in your own life the path to unconditional fulfillment and happiness discovered by the Buddha. At the heart of Buddhist psychology lies a vision of radiant human dignity, the secret beauty we all share: our Buddha nature. "Seeing with the eyes of love," explains Jack Kornfield, "reveals this beauty everywhere around us." Join this trusted voice to experience the transformational power of Buddhism's perennial strategies for enlightened living. Yes, it is a beautiful and rewarding. and Jack Kornfield's voice is smooth and clear. The Wise heart it a very excellent audio book Jack Kornfield makes very simple and clear in the meanings of Consciousness, and the Self- No Self. I continuously listen to this all the time. Thank You so much for making this audio book available.